For program and application materials, contact the Study Abroad Office at (815) 753‑0700 or via e-mail at niuabroad@niu.edu. Monday, June 6, through Saturday, July 2. Application deadline: Friday, April 1. The field school is part of the Monte Polizzo Archaeological Project, a multinational Sicilian, Scandinavian and American project focusing on the site of Monte Polizzo and the surrounding Belice Valley in the western‑central portion of Sicily. Monte Polizzo is a proto‑urban hill top site used for nearly 1200 years and encompasses the Bronze, Early Iron, Elymian and Hellenistic periods in the island’s history. The surrounding valley settlement system is filled with additional Neolithic, Hellenistic and Roman sites. The valley’s long occupation period, coupled with the diversity of archaeological cultures present in the area, make it an ideal training ground in archaeological methodology and provide ample evidence for introducing participants to the fascinating aspects of both classical and prehistoric archaeology. Monday, May 30, through Saturday, June 25. Application deadline: Friday, April 15. The field school focuses on cultural diversity in Thailand and on the relationship between the dominant majority and minorities of the country. 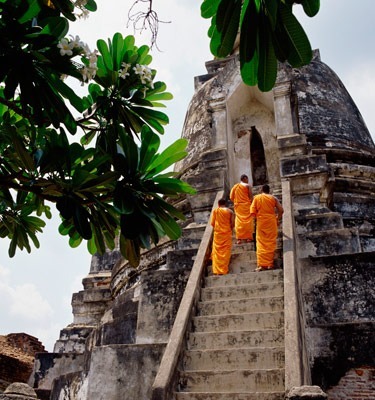 One component of the field school examines the relationship between Thai Buddhists and Thai Muslims in the north and also in the south of Thailand. Another component emphasizes the diversity of cultures, including the diverse highland populations occupying the northern part of Thailand. Students would have a first‑hand learning experience through lectures from the NIU professor and guest‑lectures from Thai faculty along with observation and interaction with Thai students and community members. These latter aspects will be reinforced through partnering up NIU students with Thai students from participating partner institutions as well as through visits to cultural and historic sites and to minority communities with the assistance of Thai partner universities. The course organization includes lectures and field visits. For both lectures and field visits, NIU participants will be partnered with Thai students.